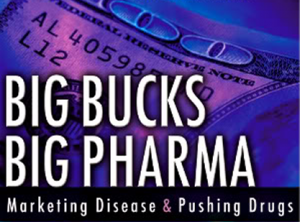 This is just a blatent money spinning practice to get more profits into the coffers of the pharmaceutical industry. This kind of chicanery will bring millions of normal people into the hypertensive range. It means that doctors will be dishing out BP drugs to patients with a healthy BP. My BP probably raised to the new stage 2 just reading these new guidelines! It is NORMAL for your BP to rise if you are stressed, laughing, crying, shouting, holding your breath, jumping up and down, walking to the shops, carrying your baby, taking the dog out, driving in a traffic jam, being late for work etc., etc.. If your BP goes too low, you are likely to chuck a faint or fall down suddenly. Much more dangerous, especially for the elderly, than being a few points over the so called ‘normal’ BP reading. Yesterday, I spoke with a friend of mine who had suddenly collapsed for a moment and fell down in her bungalow. She didn’t hurt herself but was shaken up and worried because she lives on her own. She got help from a neighbour who took her to the doctor to be checked out. Out with the prescription pad! Guess what! The doctor said her BP was elevated and prescribed her a BP drug on the spot. For God’s sake, the woman was in shock and shaken up, her BP was bound to be elevated. She told me that her BP went back to normal when she got home and she didn’t take the BP medication, nor did she tell her doctor she hadn’t when she returned for a second check up! 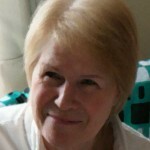 Her doctor must have been rather surprised that her BP was normal because most times, the initial diuretic drug doesn’t work, which leads nicely on to prescribing a second or third BP drug. I really get so frustrated over this problem of over prescribing and it is a serious problem with many people dying from the effects of allopathic medicine. It is now observed that the 3rd most common cause of death is medical errors and I class prescribing an unnecessary drug as definitely a medical error! What was worrying is that he didn’t seem to take into account that she probably blacked out because she said she didn’t trip over anything. This is a common problem with the elderly and happened a few times to my Mum. 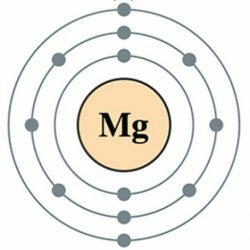 This momentary loss of consciousness can often be attributed to a Mg deficiency and is called ‘Syncope’. 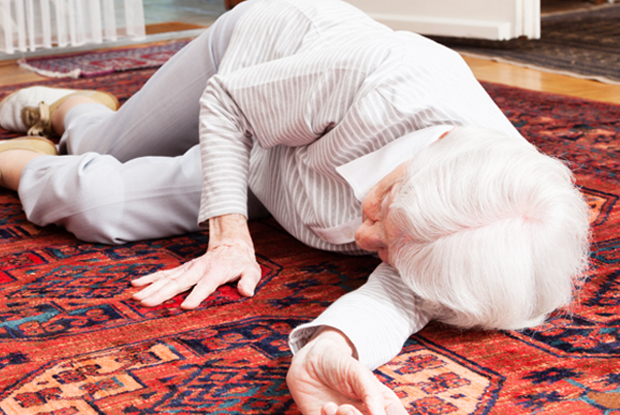 Most patients don’t even know they have had a syncope experience because they will assume they have just fallen over. Because of this, the majority of medics will presume that this was a mechanic fall and consequently no investigation is done to look into the real cause. An arrhythmia or a sudden drop in blood pressure could instigate a syncope event and a Mg deficiency can cause this kind of sudden collapse. Will doctors adhere to these new guidelines? I cannot believe that doctors receiving these new BP guidelines will actually accept this cavalier attitude to prescribing these hypertensive drugs unnecessarily. If this becomes a new code of practice then the majority of the population will soon be on a hypertensive drug! Great news for the pharmaceuticals! Bad news for you the general public! 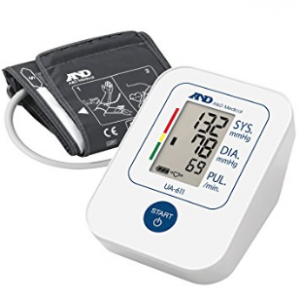 You need to be able to monitor your own blood pressure. The best way is to buy a BP monitor. There are many good ones on the market and most are reasonably priced. This one pictured is on sale on Amazon UK for £13.99 at the moment with free delivery in the UK and has 131 reviews with an average of 4½ stars out of 5. Click here for a look. This way, you will always know what your BP is when you’re at home and relaxed. If you do go to the doctor and you know your BP is in the normal range then you can question him if he says it is elevated and wants to put you on a drug. A diuretic is usually the first drug of choice. Diuretics hardly ever work and mostly raise your BP not lower it, apart from compromising your kidneys to boot and having other serious side effects! This leads the way to being prescribed yet a 2nd or 3rd BP drug and then you’re well and truly on the bandwagon of prescription drugs for life. Not good! This is what the pharmaceuticals want, a customer for life! Hypertension Guidelines - Danger level now classed as 130/80!! I cannot believe it. They've just lowered the guidelines for dangerous BP levels in the US. At this rate we'll all be classed as hypertensive! Hi Chessie, thanks for sharing this informative article. Articles like this one are useful, especially for those who are too trusting of their doctors; we mustn’t forget that they studied the same way many of us do and it’s impossible to know everything about your subject. I try to keep a balanced view with respect to the medical profession but I totally agree that there is an over-tendency for many doctors to take the ‘band-aid’ approach and just assume that ‘one fits all’. I was diagnosed with cancer earlier this year and if I had followed the surgeon’s advice I would probably have a speech impediment and be drooling form the corner of my mouth now. Without a thorough investigation he was immediately pushing for radical neck surgery. Thankfully I ignored his advice and treated myself with readily available natural fruits and herbs (I live in Malaysia now, so it’s ideal for this kind of thing). In addition, I was able to get my hands on CBD oil, (illegal here), and I believe that was also a major help. In a matter of weeks when finally a CT-Scan was performed, there was no sign of cancer at all. Hi Abdusalam and thanks for giving us your input and comments. Well done for healing yourself and being brave enough to refuse your surgeon’s advice. No doubt you would not be in the same situation as you are now if you had gone through the surgery. Why anyone would think that using toxic drugs and risking metastatic cancer from surgery would be a good way to go is beyond me. We were born with the right nutrients, vitamins and minerals to sustain a healthy life, why would we change that regime? Keeping all these nutrients in balance is the key to keeping healthy, it is really as simple as that for most conditions and illnesses. Being diagnosed with cancer is devastating and it’s only natural to trust your doctor or surgeon but you must educate yourself about your condition and make the decisions for yourself about how you are to be medically treated. Thanks for the great article. I completely agree that it’s wrong for medical practitioners to immediately prescribed pharmaceuticals to people without any idea of what they could be treating. I used to suffer a lot from epileptic seizures during which I would fall unconscious for a few min and when I did consult with a doctor I was immediately placed on benzodiazepines. Luckily I did enough of my own research and tried other natural alternatives which have been way more effective at preventing siezures. What worked best for me was CBD oil which I have been taking daily now for about a year. It helped me completely leave the benzodiazepines which hindered my creativity and intuition, and I haven’t had a siezure ever since. Thank goodness you researched your condition Angie. It really worries me when people leave their health up to another person who invariably doesn’t even know them. We know more than anyone, even a professional, how we feel. Your health care practitioner does not know everything, that would be impossible. Most doctors are GPs which means ‘general practitioner’. Look at you now, caring for your own health and not had a seizure since. Great stuff!! I’m not saying you should forget about doctors, what I’m saying is that you should visit your doctor with as much knowledge as you can muster about your symptoms and/or condition, so the both of you can treat your illness with you in charge. This is your body we’re talking about and it should be up to you what you have done to it and/or what you ingest. Always look at side effects of drugs before you take them. Ask your doctor if he knows a natural alternative before taking the drug route. A naturopathic and allopathic doctor would be the ideal doctor to consult in my opinion. Alternative Treatments for Epilepsy may be of interest to you.